It’s one thing to read that the NAACP grew from three branches nationwide in 1912 to 894 branches in 1945, but it’s more interesting and revealing to watch that expansion — from Tacoma to Bangor, Maine, and beyond — on an interactive map, as the decades slide by. 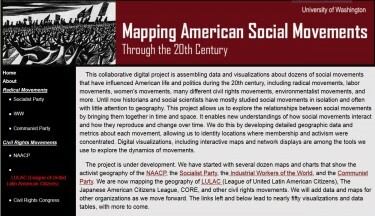 The project has the three-part goal of developing geographic data about social movements, producing such visualizations as interactive maps and charts, and providing analysis and interpretation of the data they present. The maps are part of a growing group of websites overseen by Gregory, a professor of history and author, developed with students and colleagues over several years. Those resources are grouped as the Pacific Northwest Labor and Civil Rights Projects. 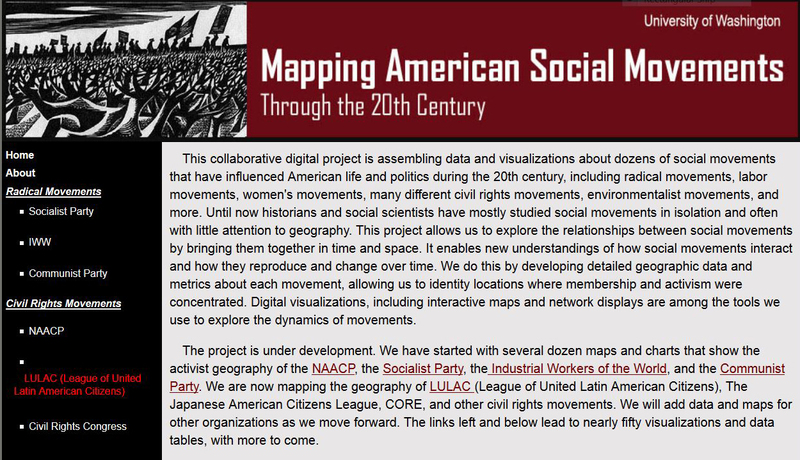 UW historian James Gregory is seeking other researchers to share data with the growing Mapping Social Movements digital project. New technologies for interactive mapping and data visualization are enabling researchers to look again and more closely at critical questions in history. With this still-growing project, Gregory uses the technology to study the historical role of radicalism in American politics — an issue, he said, that has long puzzled historians. Much of what might be called radicalism grew through social movements rather than political parties, Gregory said. These movements have often been fragmented in nature, with civil rights, women’s rights, environmentalism, anti-war protest and cultural issues all vying for public attention. “This fragmentation makes the American left hard to define,” he said. Historical studies thus far have proved better at chronicling specific episodes of radicalism than explaining the movement as a whole. Historians, Gregory said, must “wrestle fully” with the fragmented nature of the American left to properly study the left as a movement. The dramatic rise of the NAACP is one of many progressive trends depicted on the Mapping Social Movements website. Here are a few others. Maps of the American Socialist Party “reveal a geography of radicalism that has since disappeared,” Gregory said, with one map showing all of 353 towns and cities that elected Socialist mayors and other public officials in the years before World War I. A generation later those areas — such as Marshall County, Oklahoma, and Butler County, Ohio — had largely become conservative. 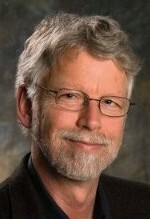 “Nowadays, residents wouldn’t know what to think about their radical history,” Gregory said. American voters seemed less concerned about the Communist Party before the Cold War that followed World War II. “By mapping the vote totals in each state and county for Communist candidates in elections from 1922 to 1944, we learn something about the numbers of party loyalists and where they lived,” Gregory said. This shows expected support in New York and Chicago, but, surprisingly, also strong Communist Party support in California in the late 1930s and early 1940s. Additions coming soon to the site, Gregory said, are maps about the Congress of Racial Equality, or CORE, another important civil rights organization, and union activity by the United Farm Workers. Preliminary versions of the site have used the Tableau and Google Fusion platforms. Gregory said he’ll need additional technologies to create the more complex maps he wants, overlaying data in various arrangements. 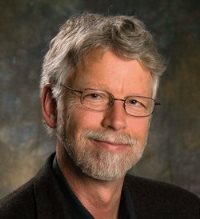 Gregory intends this project to be collaborative; he has already secured contributions or commitments from a dozen scholars at the UW and beyond. Assisting in this work were doctoral student Josue Estrada, in the UW history department, and undergraduate students Rebecca Flores, Arianne Hermida and Katie Anastas. The project was funded through grants from the Walter Chapin Simpson Center for the Humanities, the Lenore Hanauer Fund, the Department of History and the Harry Bridges Center for Labor Studies, all at the UW. For more information, contact Gregory at 206-543-7792 or gregoryj@uw.edu.